In a weekend Gallup Poll, Senator Barack Obama received 50 per cent support while Senator John McCain was down at 44 per cent. The poll comes out in the wake of the government's Wall Street bailout plan. Both senators offered similar rhetoric on the government's proposed $700 billion plan, saying that there needed to be accountability and reform. However, Obama used the opportunity to charge McCain with hypocrisy saying that his recent call for tougher regulation of the market contradicts with his history of campaigning for deregulation which many believe is a major cause of the current financial crisis. “There’s only one candidate who’s called himself ‘fundamentally a deregulator’ when deregulation is part of the problem.”, said Obama at a recent rally. This latest poll seems to underline the recent figures for campaign contributions in August in which Obama raised a record $US 66 million compared to John McCain’s $US 47 million. The report shows that while Obama received a small boost after choosing Senator Joe Biden as his running mate, his biggest jump came on the days following the announcement of John McCain’s choice of Alaska Governor Sarah Palin. 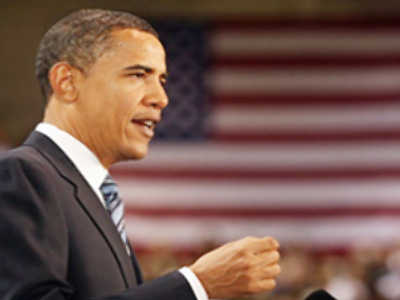 Obama received $US 2.4 million on August 28 after accepting the Democratic nomination. However, it was the following day when Palin was selected that he saw the biggest spike in contributions with $US 4.7 being donated that day and an additional $US 3.8 million the day after. Furthermore, Obama received $US 22 million in unspecified contributions. Current campaign finance law stipulates that a campaign is not required to disclose total donations from any particular donor if they are less than $200 for the month, therefore his actual earnings, particularly on the last four days of August could be considerably higher than reported. Obama also outspent McCain in August, $53.5 million to $40 million, on everything from television adds to food and lodging.